A statue of an Iron Man suit on display at Marvel Avengers S.T.A.T.I.O.N. on Nov. 18, 2016, in Las Vegas, Nevada. 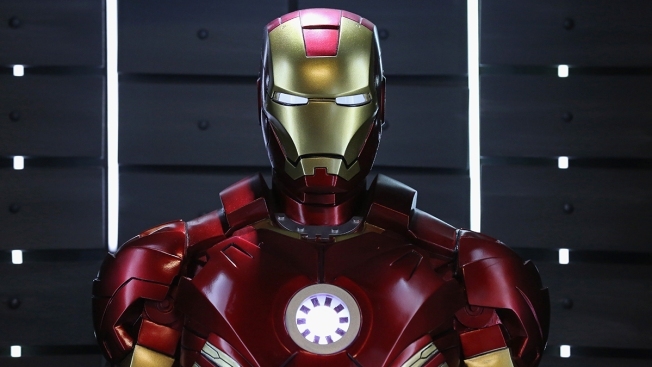 Police are investigating the disappearance of an expensive "Iron Man" suit from a Los Angeles movie prop storage facility. Los Angeles police Officer Christopher No said Wednesday a police report was filed Tuesday and that the suit's estimated value is $325,000. The red and gold costume was used in the 2008 "Iron Man" film, which starred Robert Downey Jr.